Posted September 30, 2016 by nehadmin & filed under In the News. 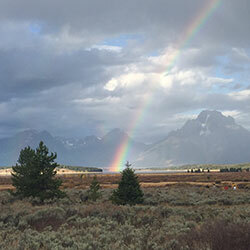 Outstanding Pet Care Clients experienced another informational and inspirational client meeting in Jackson Hole, Wyoming. They received leading information to move their businesses forward and amazing networking opportunities with some of the most successful pet care facility owners in the world. 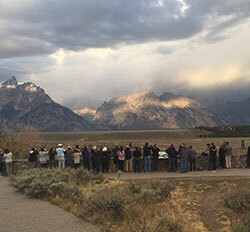 Then they boarded our luxury bus and headed for beautiful Yellowstone National Park with enthusiastic naturalists providing in depth knowledge of the park and taking us to some of the best spots. Instead of starting their days with dogs and cats, our clients were greeted by moose, hundreds of bison (some up close and personal), battling elk… just to name a few.